Setting the party scene for feasting doesn’t have to be complicated. 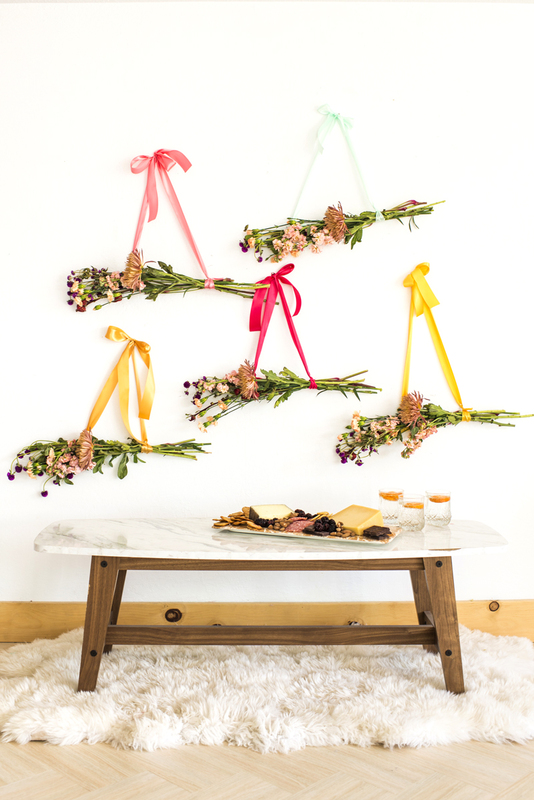 We created this DIY floral wall display in just a couple steps and it came out super pretty! It is a fresh backdrop for drinks & cheese or an entire Thanksgiving feast. One thing I love about the backdrop is that it is living, which immediately makes the space feel warm and inviting. It can be made with just a couple bouquets, or buy a ton of flowers and cover an entire room with the concept. If you happen to be hosting a party or feast this month (Thanksgiving is 3 weeks away today!) 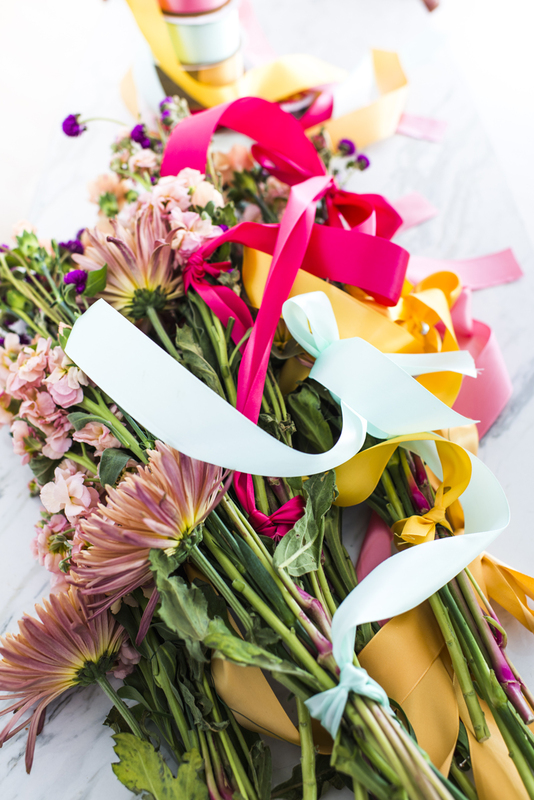 having a creative take on the space using fresh flowers like this, or like this one, can create a look that is unique and memorable for the entire family. 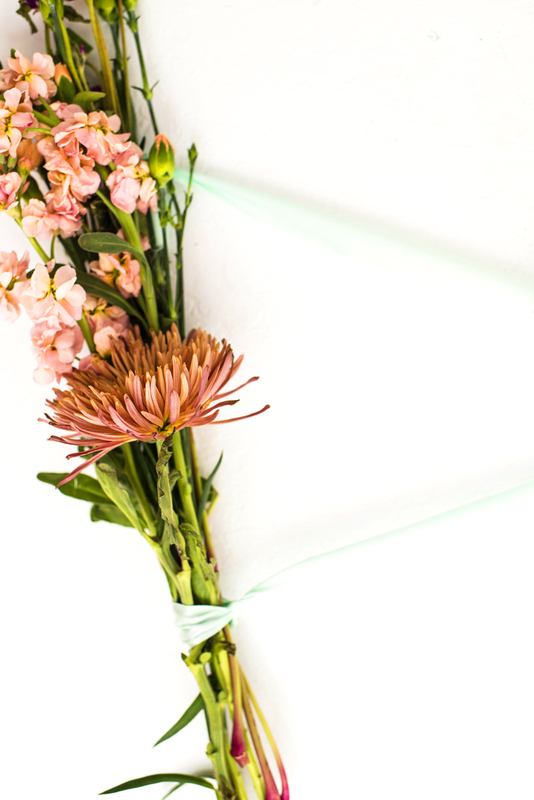 The DIY floral wall display would be a special way to honor a family member no longer with you, just use their favorite flowers in the bouquets. 1. Arrange the flowers into small bouquets. We mixed and matched flowers by putting leafy greens in the back, fuller blooms in the middle and smaller at the front. 2. 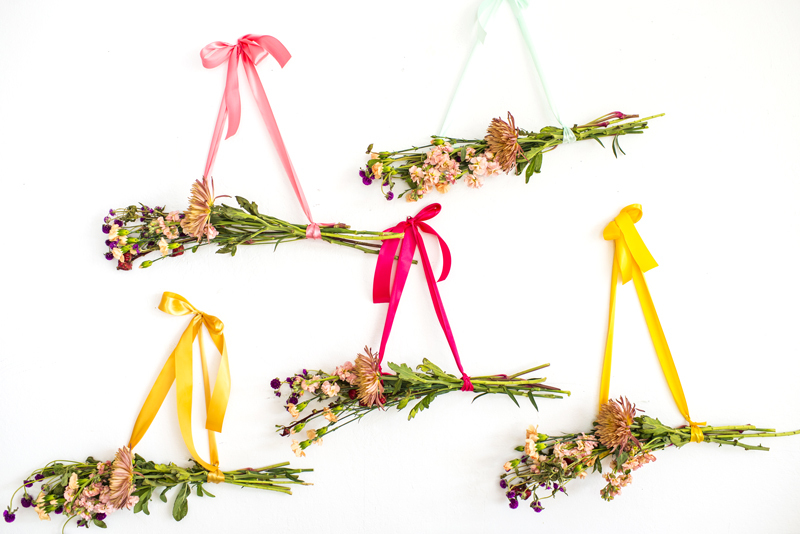 Use a short length of floral wire placed about 4” from the end to wrap tightly around the stems to hold them together. Repeat towards the top making sure to hide it behind the front flowers. 3. Tie a ribbon end around each wire placement. 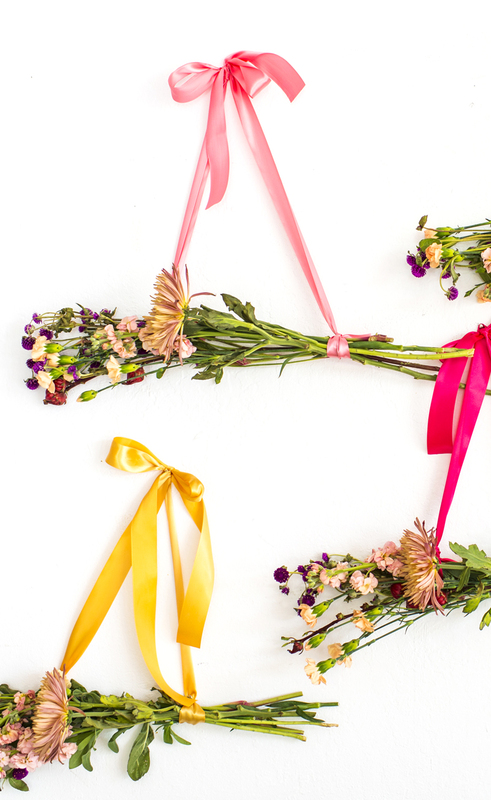 The ribbon at the top of the bouquet should be hidden behind flowers. 4. Tie the other ends of the ribbon to create a bow. This bow will hide the thumbtack and allow the flowers to hang beautifully on the wall. 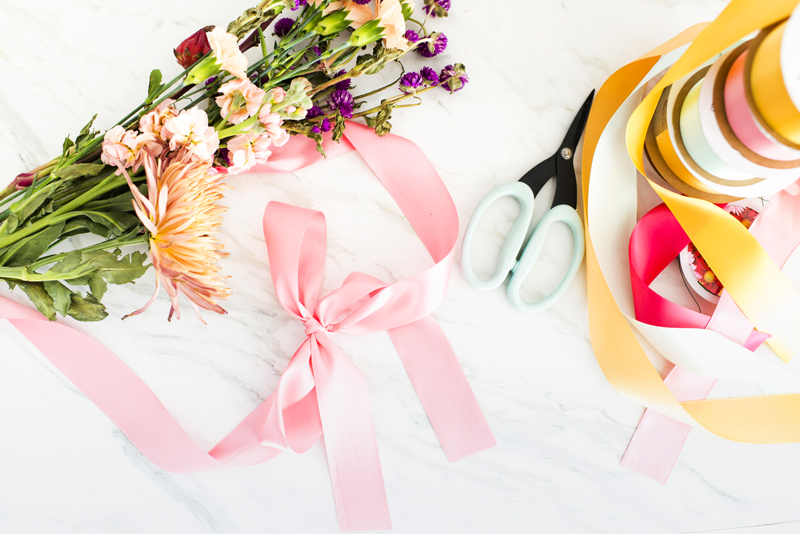 Once all the bouquets are created, use a thumbtack to pierce the back of each bow and secure them to the wall in a fun spread. These bouquets could go home with guests after the feasting and they make such a gorgeous addition to any feasting table. PS. Creative ideas for giving flowers. This is really a nice flowers. I can definitely used as a home decor material. Thanks for sharing us.